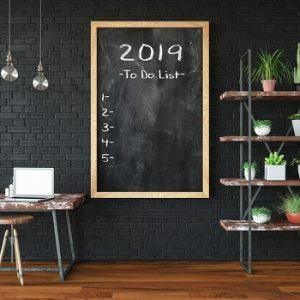 Now that 2019 is underway, many of your employees may be making resolutions to improve their lives in various ways, but resolutions are something that employers (and HR professionals in particular) should also be contemplating. Help show legal compliance with various laws, regulations and requirements. However, while it’s vital to have an employee handbook in place, that’s not the end of the matter. Employers must also continue to update them regularly and make sure employees are aware of them. Employee handbooks should be reviewed and updated at least on an annual basis, and an employer may want to consider reviewing them more often, especially in light of continuing legal developments that affect workplace policies. 2019 ushered in many new compliance requirements for employers, with minimum wage changes taking center stage. Effective January 1, 2019, the hourly minimum wage rate increased in 20 states and 26 localities (with the exception of minimum wage increases in New York, which took effect on December 31, 2018). California led the way, with not only an increase in the state minimum wage, but also minimum wage increases taking effect in 17 localities. Employers should ensure they have accounted for any new increases. For all the details, check out XpertHR’s 50-state chart of Minimum Wage Rates by State and Municipality. The beginning of a new year is a great time to review your employees’ changing job duties to make sure they are correctly classified. The classification of employees as exempt or nonexempt under the Fair Labor Standards Act (FLSA) is one of the most complex and difficult issues in federal wage and hour law. In addition to paying back wages, an employer that is found to have improperly classified employees will generally be subject to fines and penalties that can equal or even exceed the amount of unpaid back wages due to the improperly classified employees. Employers may have the tendency to take a set-it-and-forget-it attitude about employee classification. But any time there are significant changes to an employee’s job duties, it is important to reconsider his or her classification under the FLSA. It’s important for employers to make sure they establish and continue to maintain a healthy workplace. For one thing, employers must remember that, under the Occupational Safety and Health Act, they have a duty to provide a place of employment that is free of recognized hazards to employee safety and health. Employers continue to use annual performance reviews as an integral part of employee performance management. However, the review process is often dreaded by both employees and managers. The start of a new year is a good time to review and make improvements to your performance review process to ensure it is helping your organization meet its mission and goals, including promoting employee engagement and development. This may involve making performance reviews a year-long conversation with employees to improve goal-setting, employee motivation and overall communication. Over the last year or so, sexual harassment has been brought to the forefront of employers’ minds as the #metoo movement exploded, and many famous individuals have been accused of sexual misconduct in the workplace. Addressing and, if necessary, changing the culture in their workplace. The beginning of the year is a good time to address your organization’s leave offerings and strategies and how they align with current and pending laws. This is especially important as the patchwork of leave requirements continues to expand across states and localities, with jurisdictions endeavoring to address a gap in coverage. Many employers are also trying to get ahead of federal, state and local laws by embracing family-friendly benefits and providing more generous leave than is legally required. Employers should evaluate the flexible working options they currently offer since workplace flexibility has emerged as an employee benefit of choice in the last several years. One study even revealed that employees have lower work satisfaction and are more likely to want to leave their jobs when they don’t feel they have flexible work options. You should also evaluate your organization’s diversity and inclusion initiatives in 2019. Although creating and fostering a diverse and inclusive workplace may require a commitment of time, energy, and resources, it is well worth the benefits such a workplace offers. A diverse workplace benefits an employer in a number of ways, including increasing employee productivity, reducing legal claims, enhancing the employer’s internal and public image and increasing customer loyalty. Finally, it’s vital to continue watching for new developments and compliance requirements in 2019, and to stay current with applicable federal, state and local developments. An employer should be mindful of how such developments may affect its workplace policies, procedures and processes and be prepared to take action. What employer resolutions do you have for 2019? Share your thoughts by leaving a comment below.